Empower everyone in your business to solve problems, together. Download the kit, for free! Simply fill out the form below to get your hands on the Workbook, Facilitator Guide, Workshop Slides and Presentation Template Slides. 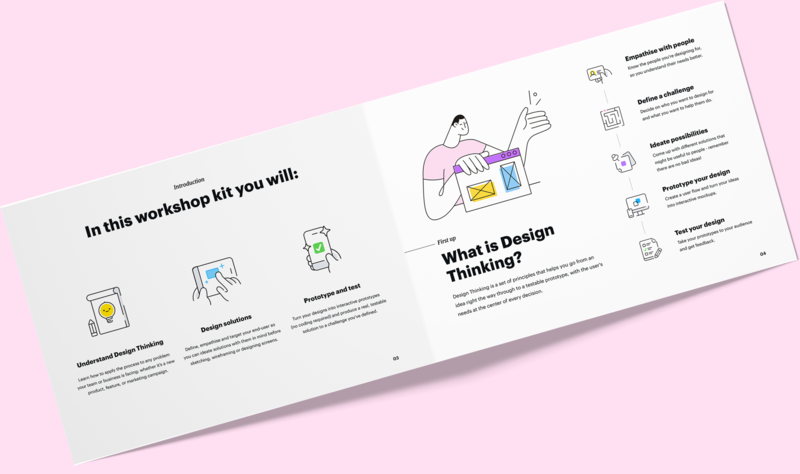 Bring cross-functional teams together: Marvel provides the hands-on tools for everyone to get started with design, no previous experience required.